In the biggest shakeup in the browser industry since Microsoft was forced to uncouple Internet Explorer from Windows, Google's Chrome burst on the scene in 2008, forcing new standards in browser speed, streamlined design, and rapidly iterating software, forcing all the other players to overhaul their own sluggish software as they played catch up to the nimble newcomer. Chrome spent several years as PCMag Editor's Choice, but it's been surpassed in speed and features, and it has sunk to a three-way tie for second place as former favorite Firefox has reasserted its lead. With a beautifully redesigned interface, excellent performance, thrifty memory use, helpful browsing tools, and leading customizability, the independent open-source browser has reclaimed PCMag.com's Editors' Choice for browsers. 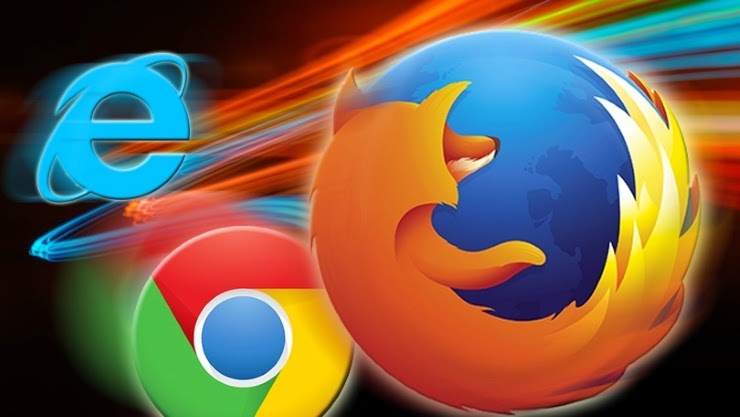 While Firefox is our favorite browser of the moment, there are still other excellent choices that, depending on your priorities, will server your Web browsing needs admirably, including Internet Explorer, Opera, and Maxthon. All of the browsers now provide more-than-adequate support for the new HTML5 standard for website coding—even Internet Explorer has been acknowledged by Google as now being among the ranks of "modern" Web browsers. The search kingpin did this when it withdrew its Chrome Frame product, which inserted Chrome's page renderer inside IE. Beyond standards support and page-rendering speed, factors to consider when choosing a browser include extension support, customizability, startup times, browsing helps like bookmark and tab managers, privacy, and security. For a deep dive into what each of today's main browser choices offer on all of those scores, read the in-depth, tested reviews linked below. For some background on how PCMag.com tests Web browsers. Firefox recently benefitted from a major interface redesign, and has made huge strides in memory consumption and startup speed. It's also a leader in new standards support and evolution. But Firefox's customization possibilities are what have endeared the browser to millions of users over the years, and the latest version is more easily customizable than ever. Its Customize mode lets you configure the browser toolbars, Personas let you change its appearance, and as always, a raft of extension can do more to make the browser your own than any other browser. To top everything off, Firefox is the leader in security and privacy. Now available for Windows 7 as well as for Windows 8 (but not for Vista or XP), Microsoft's latest browser is faster, trimmer, far more compliant with HTML5—a major improvement over its predecessor. IE even now supports WebGL and SPDY, but not WebRTC. The browser brings some unique capabilities such as tab-pinning and leading hardware acceleration. Its excellent privacy tools include Do Not Track enabled by default and the more-powerful Tracking Protection feature. Maxthon is the app in this roundup known and used by the fewest people, but it offers among the most in tools, and surprisingly good performance and HTML5 support. If the idea of being able to skip through video ads, take a screen capture of a webpage, download video, or switch to a dark view for night viewing appeals to you, give Maxthon a download. Site compatibility is pretty much guaranteed, since Maxthon uses both Chrome and IE's webpage rendering engines. Rich cloud services let you push sites to other devices and store downloads up in the cloud, but Maxthon trails in graphics hardware acceleration. We're still fans of this browser from Norway, but it now offers fewer differentiators, since it uses Google's underlying code. Like the other current browsers, Opera is fast, compliant with HTML5, and spare of interface. Long an innovator, its main distinction is its Speed Dial, which offers Windows 8-like live tiles of information on new-tab pages. Another is Off-road mode, which speeds up the Web on slow connections through caching and compression. Unfortunately Opera has dropped a few of its distinguishing plusses such as a built-in BitTorrent, Unite server functionality, and an email client. Even a bookmark manager awaits re-addition to the rebuilt browser. I'm a big fan of Chrome and Chromium through force of habit and several restricted extras that it gets which I like to use (Chrome RDP mainly), but Firefox is the fastest browser these days, last I checked. As for interfaces, I think Opera has the best GUI, and it runs on the webkit engine now too, so it can use many extensions directly from the Chrome store. All of this being said, I have to give a shout-out for IE and Iceweasel. They have both improved hugely from previous versions and are definitely usable these days. I believe IE is now one of the faster browsers out there now. I would tend to agree. I'm not sure if IE does the sandboxing that Chrome does, which is a very helpful stability and safety feature. Windows 8.1 default browser is Internet Explorer (IE)11, a major updates has been done in Microsoft's web browser. This is particularly true in the "modern" mobile environment, where IE 11 offers a dramatically improved feature set when compared to its predecessor. So before you start browsing.Let us see few features which i noticed. In the IE 11 the address will be in the bottom of the page which gives completely new look. From this interface, you can access all of IE's normal address bar- and tab-based features, including the ability to browse tabs on your other devices. But it does take up a bit of space, so it's probably best used on PCs with high resolution displays. Another option which is critical to PCs with high-resolution displays, this lets you zoom the content on web pages by specific percentages and independent of the display scaling used by the OS. Consider the following web page, zoomed normally (100 percent zoom). As you can see, there is a lot of wasted white space. But with a zoom level that is more customized for this PC—in this case, 125 percent on a PC with a screen resolution of 1600 x 900—the web page is more readable. A zoom level of 150 percent would fill the screen width completely. Here, you will find two options, an On/Off switch that determines whether IE will store your entered website passwords by default and a Manage button that reveals a list of all of the sites for which IE is storing a password. Even if we forgot the password, we can get it from the settings, if we have saved the passwords for the particular websites. In Win 8.1 IE is good. The only thing IE should ever be used for is downloading Firefox, Chrome, Safari, or Opera. I personally am a Firefox guy, because it's the only browser that has the NoScript plugin. lol i hear you its too bad, it would be nice to not have to download an additional browser.